The WAITING FOR THE STORM blog tour starts today! I actually kind of want to hyperventilate just typing that. I'm excited and nervous at the same time. I did a blog tour for my debut novel, BLUE SKY DAYS, when it came out, but I haven't done one since. I organized that one myself and it lasted for exactly one month, so I know how time-consuming it is to put these things together, which is why I decided to hire the amazing Giselle from Xpresso Book Tours to organize this tour for me. We've been blog buddies pretty much since the beginning (funnily enough she was actually part of the BLUE SKY DAYS tour a year and a half ago), and she was so professional and helpful. 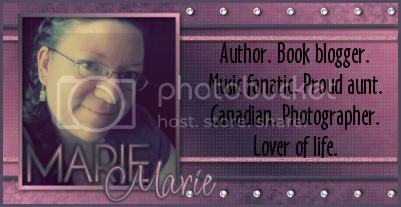 If you're considering doing a tour or even a cover reveal, blitz, etc., I wouldn't hesitate to recommend her. Thanks for all your hard work, Giselle! If you want to follow along with the tour (I'd love you forever), you can check out the line-up here. Each blog has the option to host a giveaway for the book, so there will be plenty of chances to win a copy. For those of you who want to buy a copy (again, I'd love you forever...seriously), I've reduced the price of the ebook to just 99 cents for the duration of the tour. To celebrate the book going on tour and to thank people for all their support, I'm giving away a book of the winner's choice from The Book Depository up to $12 USD. Being an author is my lifelong dream and it's because of wonderful readers and bloggers that I'm getting to live my dream. Thank you for making it so special and making it all worth it. I hope to have information about my next book for you soon, so be sure to keep an eye on the blog! Thank you for the awesome giveaway, girl!